HAPPINESS SPEAKS | B +Ve !! 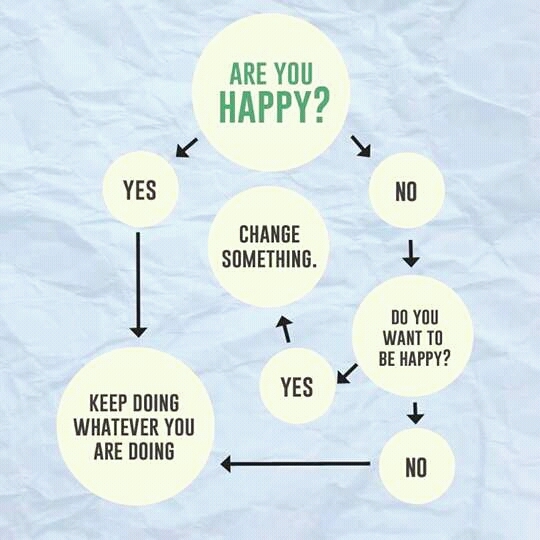 The following image explains a lot on happiness. Happiness is always there within and a natural tendency of all human beings. I have read and heard people talking about happiness during conversations. Most people I know wants to remain always happy and they don’t want to face insecurity or difficult times. They reject all negative factors coming on the way to our happiness. Many among us believe difficult times are invited by our own thoughts and deeds. It’s not a byproduct of any action of others in our environment. I like these thoughts as an optimistic approach towards life. Few other among us think like we are subject to get influenced by others in our environment as human beings are emotional by nature. They talk like we can’t make all happy and it’s better to work for our personal happiness. It sounds like a pessimistic thought but quite logical. So, I am not going to discard it completely. The above two opinions are contradictory and set forth by two different groups of people. There is nothing to accept, reject or blame anybody as our thoughts are shaped by our personal experience in life. It’s important to do an analysis and find how much happiness we can draw from within and much of it is completely dependent on external factors. We need a balance for better results as we must live in the society. We are responsible for our social environment and society can’t be rejected for personal happiness. A good analysis followed by right actions may help us find more happiness and meaning to our life increasing the level of our happiness quotient. If we can analyse the above graphical explanation well it’s possible to shape our thoughts in a positive direction and write an article. I have already wrote something by this time with my random thoughts but still think it’s incomplete and should not be treated as an article. I think it’s incomplete without your opinions and I should update it at intervals when I learn better from your comments and suggestions. Happy thinking, writing & sharing!! Categories: communication, environment, HEALTH CONSCIOUSNESS, LIFESTYLE, psychology, society | Permalink.